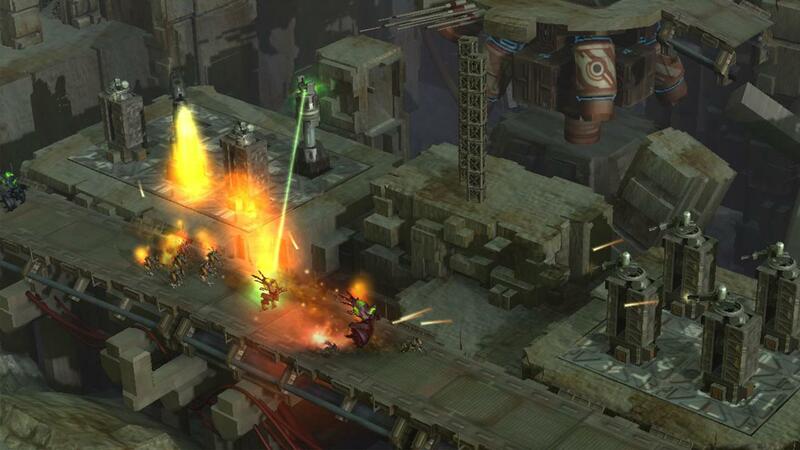 Defense Grid Gold is a special compilation of the highly acclaimed tower defense game, Defense Grid: The Awakening, and extra packs Borderlands and Resurgence. 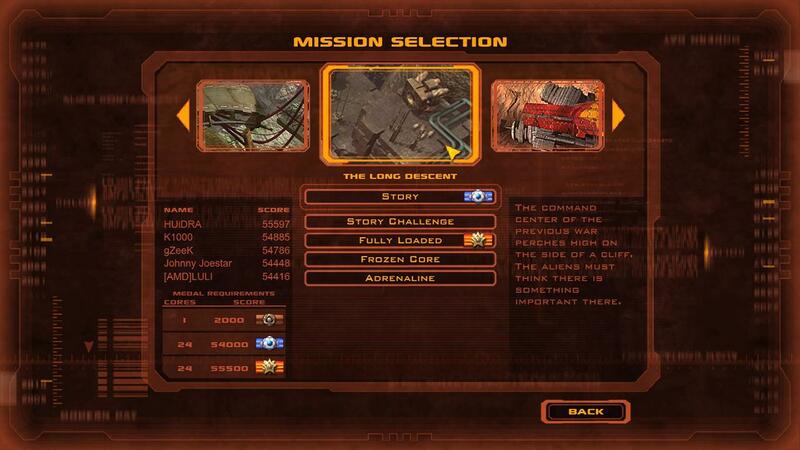 There are approximately 8 hours of gameplay in the main storyline, and many hours of play in challenge modes that give players unique starting conditions and objectives. Each game level is very replayable, and can be solved in many different ways, with increasing rewards for improved efficiency. Over the course of the game, players battle 15 different enemy types that become increasingly stronger, and employ a variety of strategies in an attempt to bypass the player's defenses. As the levels progress, the enemies become tougher and more difficult to defeat. 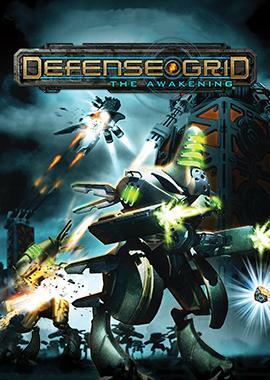 Defense Grid: The Awakening has 20 unique environments, each with a different placement of roads, tower build locations, and open areas to plan a strategy around. There are 10 different tower types with 3 levels of capability each. Each tower has unique trade offs that affect ideal placement, such as line-of-sight attack or ballistic trajectory fire. Some towers improve other nearby towers, and some are ideal at specific locations, such as a rear guard tower that unleashes a devastating attack. New Maps, New Strategies and New Experiences From the Creators of Defense Grid Defense Grid: Resurgence is the first premium expansion for Defense Grid: The Awakening and is made up of 8 new highly polished and balanced maps from the original creators. The new maps provide new environments and strategic experiences and require new ways of thinking to beat back the aliens and protect your cores. Each map pack contains 2 maps each with a campaign mode and 4 additional modes associated with the design of that level. Service Interruption and Height of Confusion Two new challenging Defense Grid environments are the first two released in the Resurgence DLC. An obstructed road to the core housing gives the aliens a significant advantage in Service Interruption. Choose your towers wisely! Height of Confusion has a wide open surface, making for endless possibilities! Build anywhere you want in your defense of the power cores! Risk Exposure and Roundabout Don’t miss out on the next two maps in the Resurgence series. Risk Exposure will allow you to discover your ability to defend two independent power core housings! 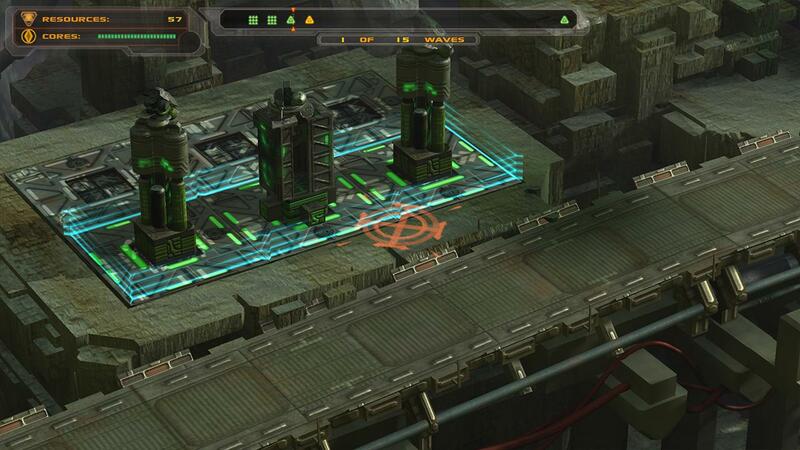 Limited build spaces will test your skills as you divide your resources to discover optimal tower placement. 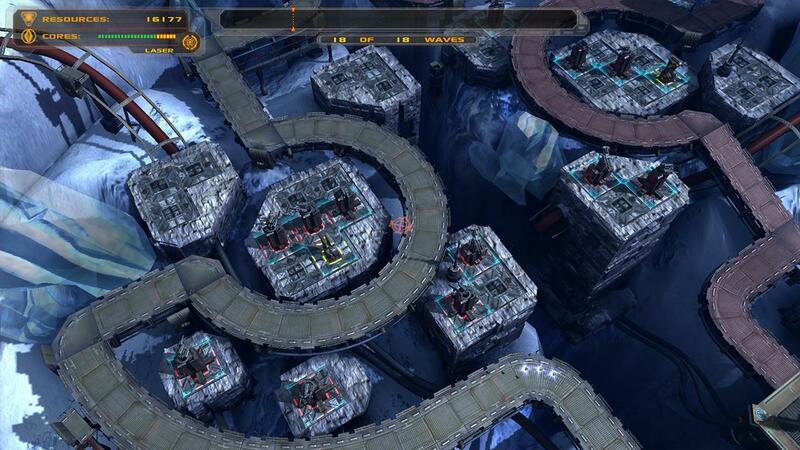 On Roundabout, you will be faced with numerous possibilities for pathing and a variety of elevation changes. This one will have you going in circles to contain the alien menace! Urban Planning and Tactical Diversion It’s the third of four great map packs in the Resurgence series. Urban Planning is a dense environment with restrictive build spaces, forcing difficult decisions against continuously attacking hordes. In Tactical Diversion, survey the small, snow covered platform and consider numerous possibilities. But be prepared for the aerial assault! Kill Zone and Overflow The final installment of the Resurgence series includes two more environments sure to challenge your tactical planning. In Kill Zone, will you construct your defenses near the spiral road in, the spiral road out, or the open platform in the middle? Perhaps all three! But you’ll need to be on your toes to deter the invaders. 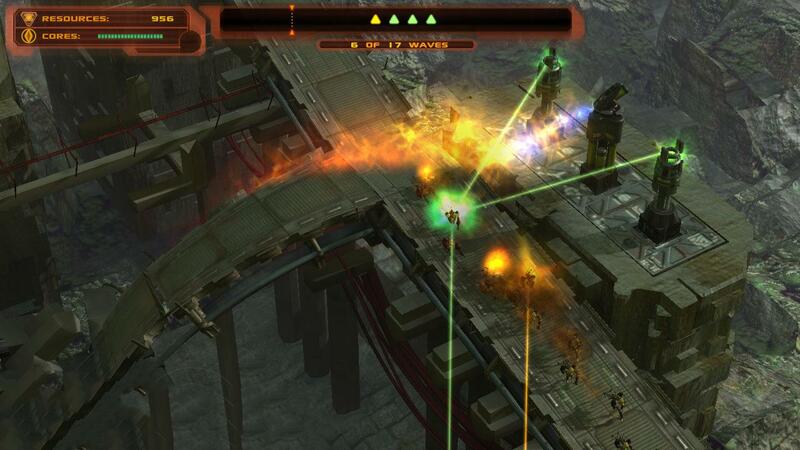 Overflow has numerous connected platforms that will provide countless options to turn back the enemies. Will you be able to keep the cores safe?